Showing gratitude every minute of every day just isn’t part of what kids do. It’s not that they don’t appreciate what they have and who they are, it’s just that they are always learning and processing and soaking up information. It’s our job to slow them down and teach them to be thankful for what they have. It’s our job to capitalize on the small moments and help our kids stay grounded. 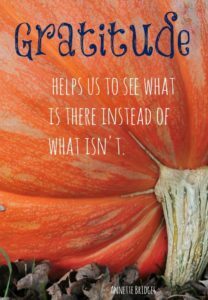 It’s our job to model the gratitude that we want our kids to demonstrate each day. that makes your children happy on any given day. Sometimes they just need a gentle reminder that they can do any of these things. For that, they can be thankful. Bedtime is a great time to decompress and check in with your kids. It’s also a great time to talk about gratitude. Ask your child to identify three good things in her life as she goes to sleep. Keep a journal by her bed so that you can write them down and revisit them during the day. You will probably find that family, mommy & daddy, and favorite toys make the list often. Many kids tend to think about these things as they end the day. Having them verbalize it shows them that it feels good to go to sleep feeling happy and thankful. goes and how it helps other people. Kids (even toddlers) take great pride in helping others. Do you ever feel like your kids are constantly looking for something to do despite shelves of books and toys? It can be tempting to start listing the things they should be grateful for, but this doesn’t actually teach a lesson. Sometimes kids just need visuals. Make a list of fun family activities and toys and games the kids have at their disposal. Make use of those extra craft sticks by writing one activity on the end of each stick. Flip the sticks over and ask your child to pick one. Flip the stick back over to see what activity the family should do next! Sometimes a simple game to make things fun reminds our children that wonderful things are all around us. iPhone camera (or another camera) and let her document what makes her happy each day. Compile the pictures into simple photo books so that she can look back and feel grateful too. Warning: You might end up with 11 pictures of Easter chicks and 37 pictures of a “rock museum”. 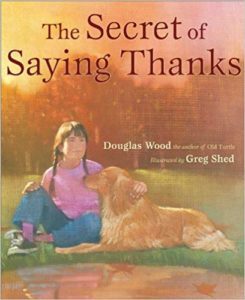 How do you teach gratitude in your home? Unitarian Universalist parents want our kids to have accurate and respectful information about Native Americans rather than the the inaccurate stories we learned about native people’s part in the Thanksgiving that we learned as children.